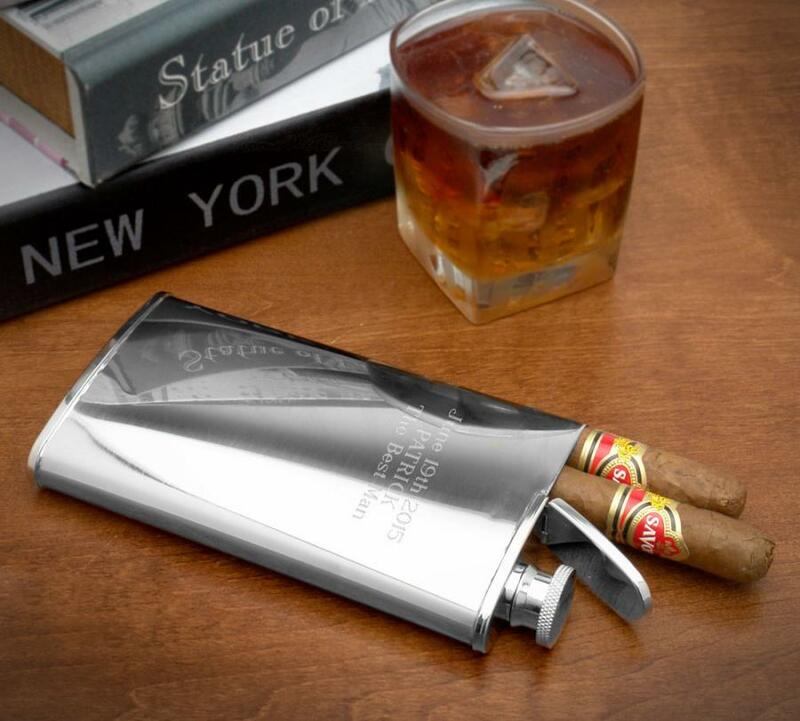 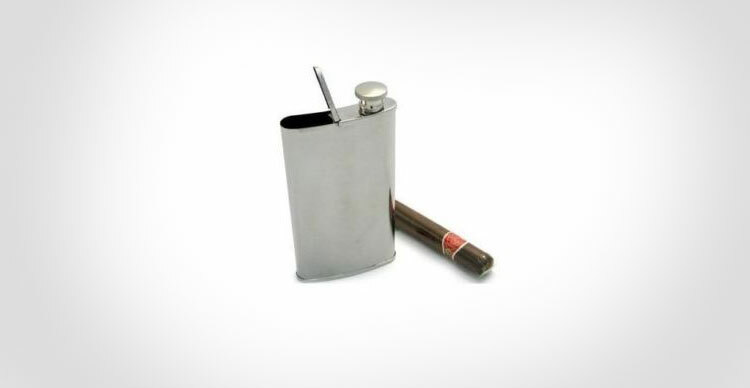 The flask and cigar holder combo will hold two of your vices at once, alcohol and tobacco, plus you will look classy as hell while using it. 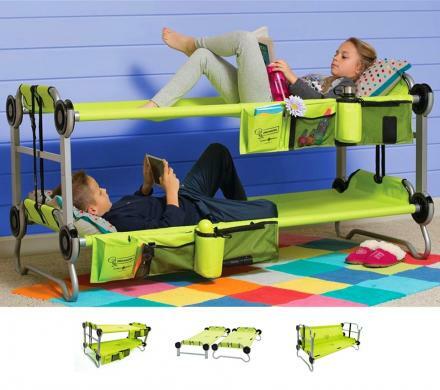 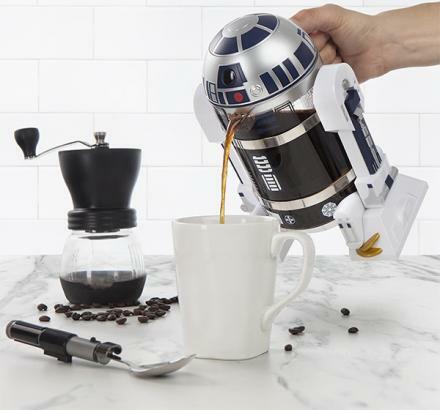 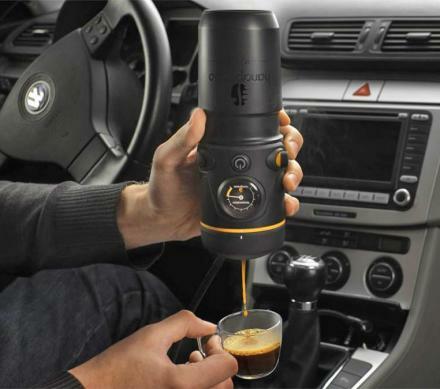 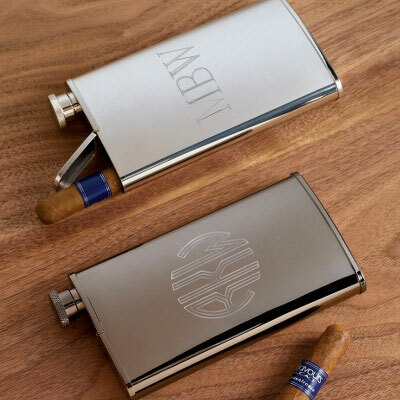 The only issue I see is not being able to hold enough booze as the cigar compartment seems to take up a lot of the room, so you may want to have a backup flask on hand if you're really looking to get weird. 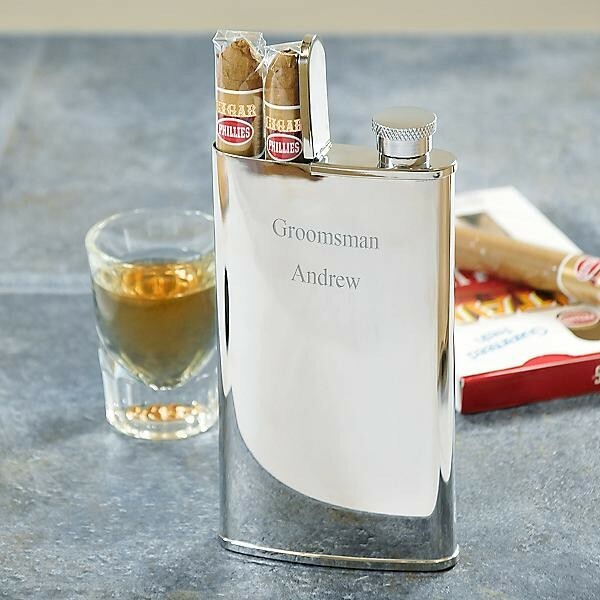 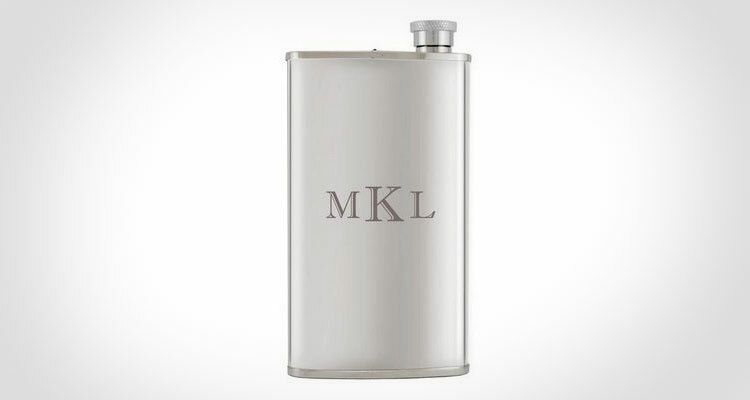 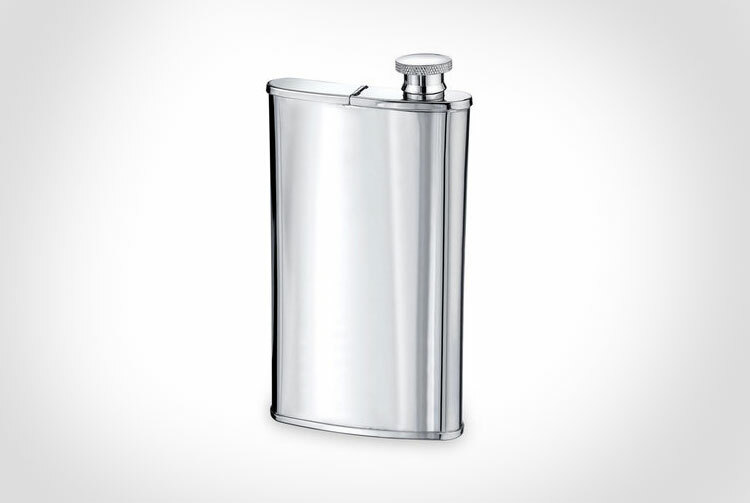 A perfect gift idea for wedding party's, old drunken Grandpas, or just someone who really likes booze and cigars, the Flask and Cigar holder combo is made from stainless steel, can hold up to 4 oz. 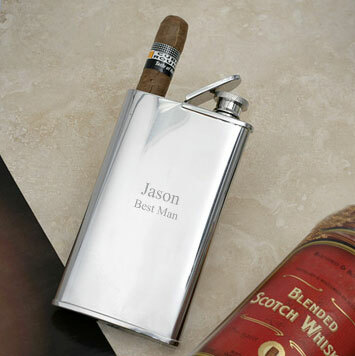 of booze along with two cigars at a time, is easily engravable, and measures 7 inches long x 3 inches wide. 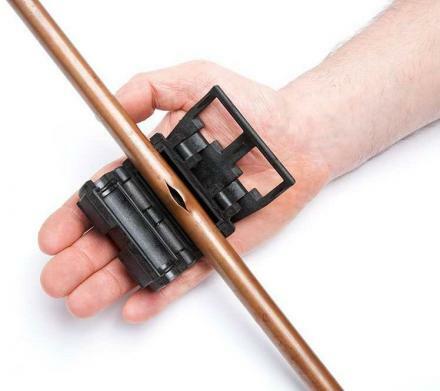 The cigar opening measures 0.75 inches x 1.5 inches, and can fit two 46-ring cigars.